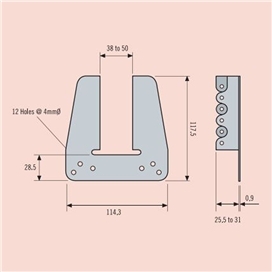 The Bat Truss Clip eliminates the disadvantages of skew nailing trussed rafters to timber wall plates: damaged connector plates, split rafters or wall plates. 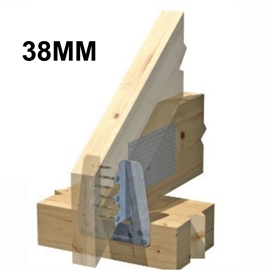 TC38 for 38mm trusses TC50 for 50mm trusses Wider trussed rafters may be fixed using pairs of BAT Framing Anchors, types MFAAL and MFAAR. Specification: Manufactured from 0.9mm thick pre-galvanized mild steel to BS EN 10346 : 2009, DX51D + Z275.